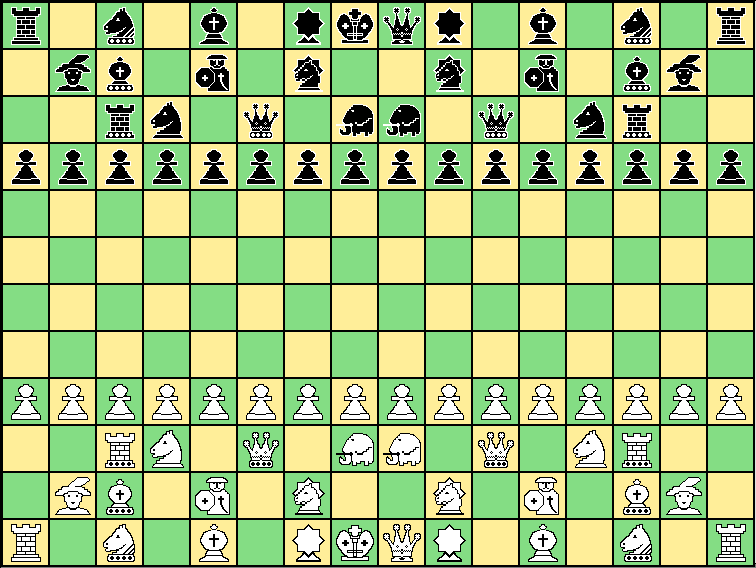 This variant grew out of Double Courier Chess and uses an enhanced Marquess piece. 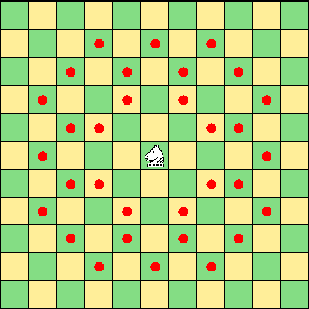 The Marquess is a non-linear-2-step-Moo-rider, with a potential of reaching 32 squares as illustrated by the image on the right. s+se, s+sw, sw+s, sw+w, w+sw, w+nw, nw+w, nw+n. It should be noted that although the basic move imitates that of the Knight, the Marquess, unlike the Knight, may not leap over obstructing pieces.